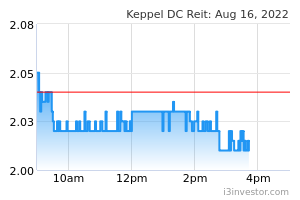 Keppel DC REIT (KDCREIT) announced this morning that it has entered into a conditional share purchase agreement to acquire 99.0% interest in a company which holds the five-storey purpose-built carrier-neutral data centre located at 13 Sunview Way in Singapore. The estimated purchase consideration is approximately S$141.2m based on an agreed property value of S$295.1m and after adjusting for net liabilities of S$153.9m. There will be a rental support given to KDCREIT for a period of 12 months after the acquisition completion date if the adjusted NPI falls below S$25.0m. The rationale for this rental support is because of the current occupancy of 67.7%. However, agreements have been executed such that the IT power in the property has been fully committed, and as a result the occupancy will increase to 84.2%, with the vacancy in being office. KDCREIT intends to finance this acquisition with net proceeds from a private placement exercise of 224m new units announced this morning (expected gross proceeds of S$303.1m) and remaining net proceeds from the pro-rata preferential offering launched on 17 Oct 2016. 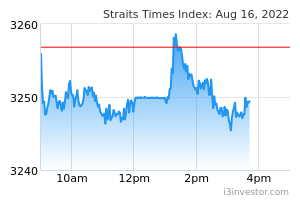 For now we have a HOLD rating and S$1.50 fair value on KDCREIT. KDCREIT has requested for a trading halt due to these proposed transactions.